any greater distances, averaging about 100km a week after that. Work outs with pack – kind of slacked off here, but did a few at the end. first bit heat was an issue, but not really a problem. declined as I never get blisters – somewhat of a mistake. weights. Both a big help. gram). My food, 17,500 calories (minimum was 14,000 calories), weighed in at 5.5 kg. close to 10kg. On the last day it was just 3kg. and a quasi technical long sleeve top. 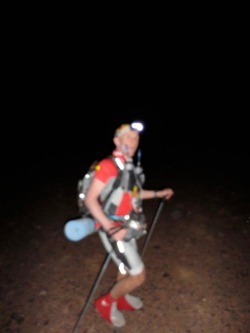 My shoes were Salomon XT Wings – Trail shoes were a must – more on this. business jet to Moscow. One of the advantages of my job. store where they only spoke Russian… guess my language skills are improving. 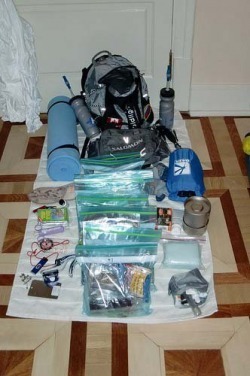 tent, much more comfortable with 4.
time you checked in your gear and basically you were ready to go. would be like that but knew better. got into the tent felt quite good. It was my feet that I had to deal with now. from your body. Replacement is critical. This did take its toll on a number of people. terrain: running on rocks, constant ascents and descents , and no real path to walk on. good for the day. And we paid money to do this?? time to eat and rest as Stage 4, 82km was on us the next day. depending on the day, 4-6 hours later, except the long day, we were back to camp. was getting dark and by 21:00 we were fast asleep. Stage 4 82km, two days to complete, what can I say. This was a tough day, as you can imagine. no need to hurry, a long day ahead. However if we finished this, it was all but over. a hot meal, good move, I needed the calories and the sports nutrition was wearing thin. final ones arriving just before the 34 hour cut off. A longer day for some. worse. Wanted to run, albeit slow to CP2, 24km, and then take it from there. dunes led right up to the finish. they weren’t, so I stopped and picked up my hat and had a leisurely run in. 334th and 50/167 in the 50-59 age group. The Only Question is What’s the Next Adventure??? A SPECIAL THANKS to all who got me to the start and finish line, there were many of you!